Furious 7 was quite the phenomenon. Filmmakers will attempt to due it again with Furious 8. Furious 7 took the nation and world by storm when it was released on April 3rd, breaking a number of box office records in just its first weekend. It’s gone on to be Universal’s first film to hit the $1 billion marker in its initial release, having climbed to that point in just 17 days. Currently, it’s brought in about $1.16 billion internationally, making it the seventh (appropriate, given its number in the Fast & Furious franchise) highest grossing film of all time. The dust is still settling from the film’s explosive debut and the fan’s overwhelmingly positive reaction—and emotional reaction, given that the film featured the late Paul Walker for the last time. Even so, the cast and crew are looking forward to the eighth installment. And just yesterday, Furious 7 star Vin Diesel officially confirmed the eighth film and even announced the Furious 8 release date: April 14, 2017, less than two years from now. 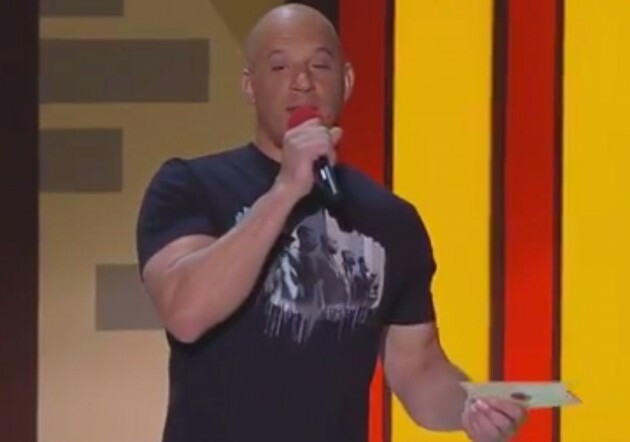 Vin Diesel made the announcement at CinemaCon in Las Vegas. He told the crowd, “It means a lot to me to get your blessing,” though, as the crowd was full of theater owners, it’s no surprise he has their blessing. Tickets for the Furious films sell themselves. Still, it is nice to know that fans agree that the legend must continue even after Paul has passed—and even though the filmmakers destroyed more than 230 perfectly good cars to make the last one. If you’re still on the fence about an eighth installment, let us direct you to a recent comment from Vin Diesel: “Furious 7 was for Paul; 8 is from Paul.” Now doesn’t that just hit you right in the feels?